Talk about an ambitious project!. 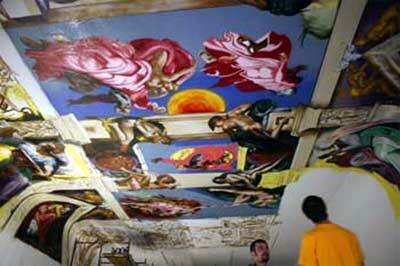 Paco, a graffiti artist originally from Sarajevo, is using spray paint to recreate Michelangelo’s entire Sistine Chapel ceiling in, of all places, Waterloo, Iowa. You can check out the photos of the work in progress here.